Available to buy on both CD and vinyl (obviously I bought vinyl, and it's orange vinyl to boot! 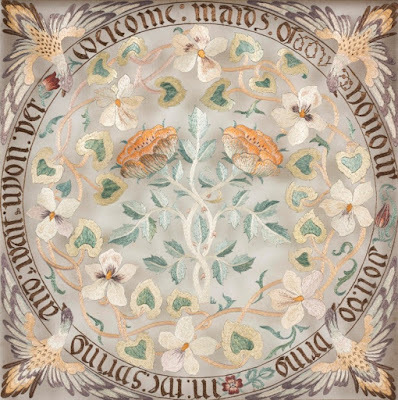 ), this album is inspired by Pre-Raphaelite art works, from the title track, though April Love, Work and The Light of the World. 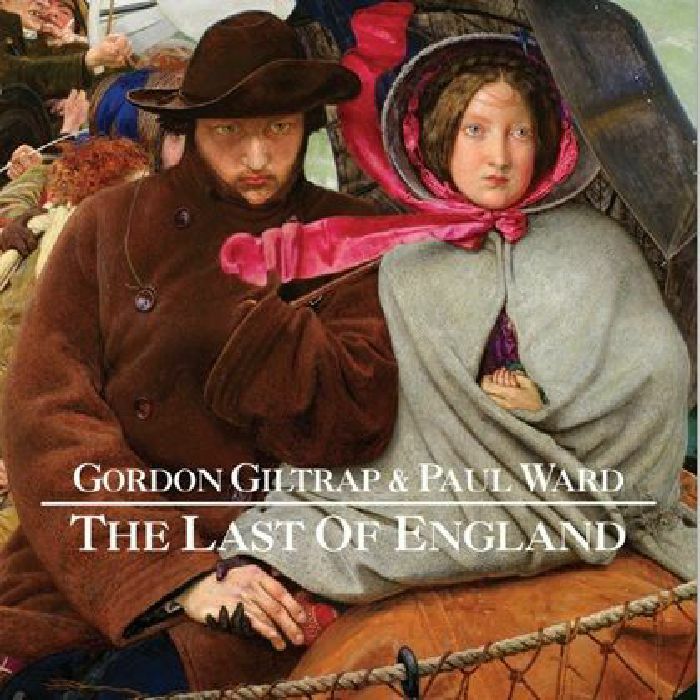 I was familiar with Gordon's work beforehand, but for those who have not yet had the pleasure, his work is beautiful instrumental pieces, with his guitar telling sound-stories which perfectly match the paintings and the mood of the album. From the rolling tide of 'The Last of England', and the lazy wamth of 'All the Days in May', through the unexpected strength and industry of 'Work'. I love Gordon's music as it is so distinctive and beautiful, and this is a brilliant album, bringing a further dimension to the paintings, an interpretation though emotion rather than words. I think the title track is my favourite but 'Work' really caught my imagination too with the sound of the workmen, striking stone and metal. The album has the romanticism and wistfulness you would expect from music inspired by Pre-Raphaelite art but there is more than that here. I definitely recommend this as your Pre-Raphaelite soundtrack for the winter, especially if you need the comfort of beauty and gentleness in the rather rough present. Add to your Christmas list now or better yet, buy a copy for yourself. Q. 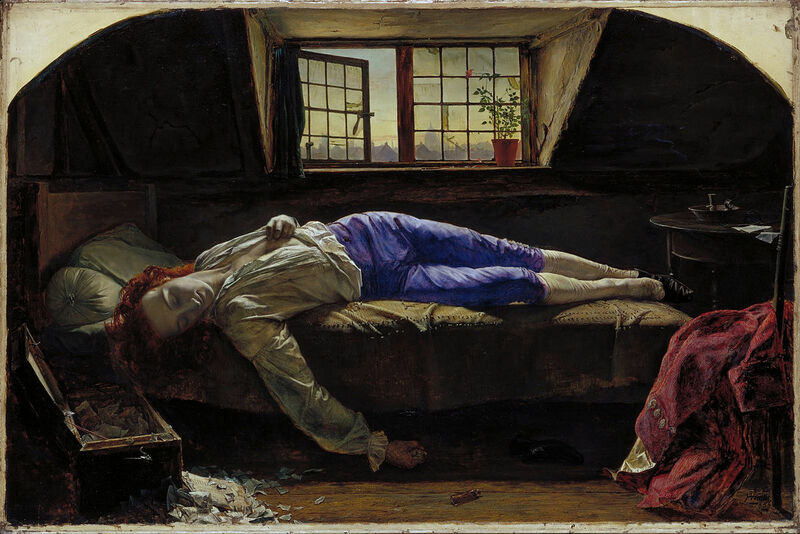 When did you first discover the Pre-Raphaelites? It was all down to my wife Hilary who had been an admirer of their work for many years, and showed me shortly after we had met a beautiful book from a Pre Raphaelite exhibitions she had attended. 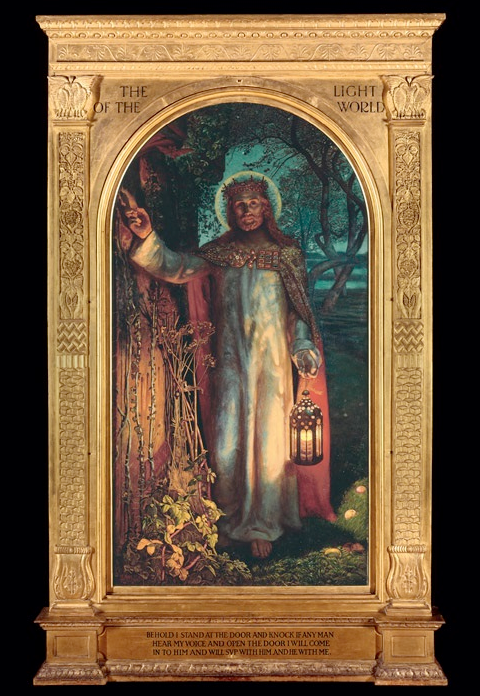 I instantly fell in love with those beautiful other worldly images, and when I saw the Holman Hunt "Light if the World" I recognised it from my childhood. That very image hung in my grandmother’s cottage, so in fact I grew up with that haunting image, never truly knowing anything about it. It was like a home-coming for me when I saw these paintings and felt drawn to compose pieces inspired by them, very much in the same way as Visionary way back in 1975. 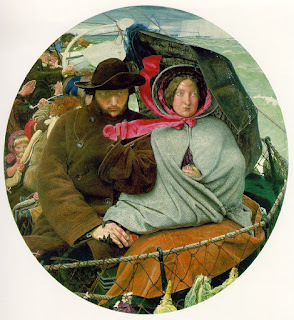 Q. I interviewed Robin Lawrie about his book illustrations for Tennyson in the 1960s and he said he saw a 'movement' of 1960s/70s Pre-Raphaelite musicians. Would you identify with this? In many ways yes, in relation to the Blake inspired Visionary album mentioned earlier where powerful images (I keep using that word) completely captivated me and in some way obsessed me and drove me passionately to compose a suite of tunes, but in Blake's case it was a mixture of poetry and paintings, once again with an other-worldly spiritual feel to them, but of course that was exactly what the great man was all about. Q. 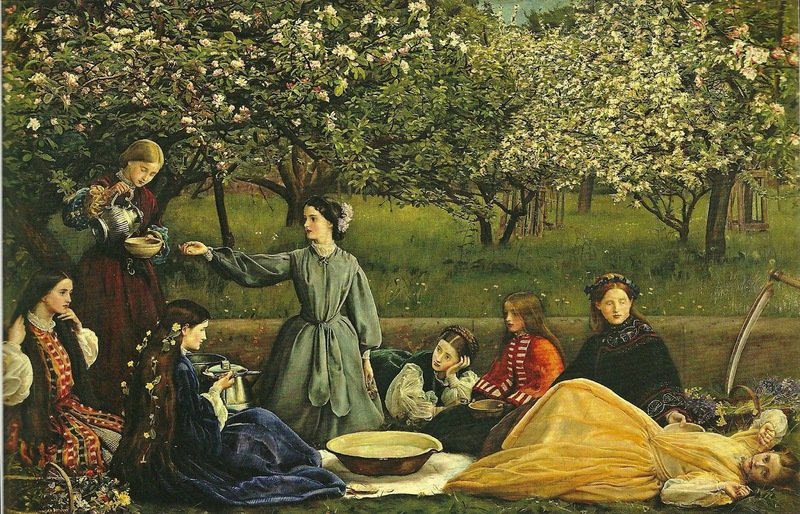 Did you always want to write music around Pre-Raphaelite art? 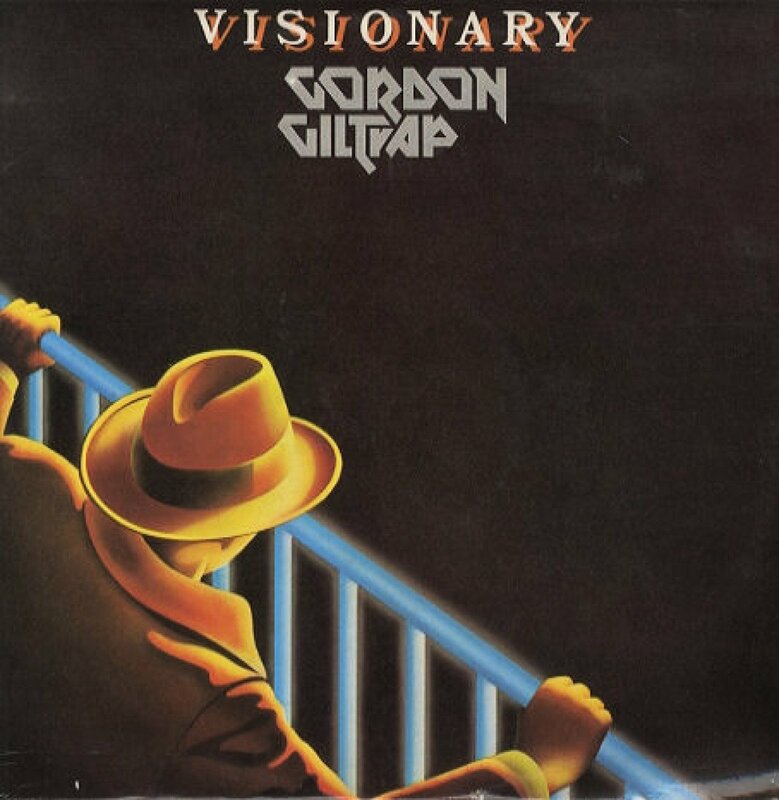 Could it be seen as a (somewhat delayed) sequel to 'Visionary' (after the art of William Blake)? No, because I'm a relative later comer to the movement. I think in many ways with the new album it feels like a full circle from the mid-seventies to the present day, so maybe it could be described as a somewhat late sequel. 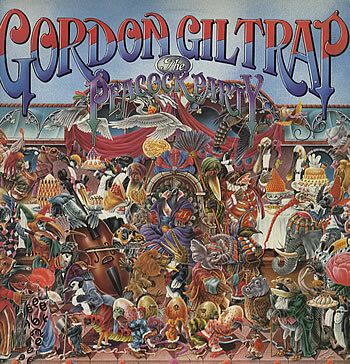 In 1981 I released an album inspired by the illustrations of Alan Aldridge with The Peacock Party album, but I feel it pales somewhat in the light of this latest album, but then it would do, wouldn't it? And how marvellous to have one of the greatest images in English art as my album cover. It doesn't get any better than that, does it? I'm delighted it has had a vinyl release to truly show off the painting. I think a number of folk have bought it even without having a turntable on which to play it, and just having it as a piece of art is enough for them, and indeed why not? I simply chose paintings I could relate to like The Light of the World and Work with it's obviously busy, forward motion of honest labour and the street scene. 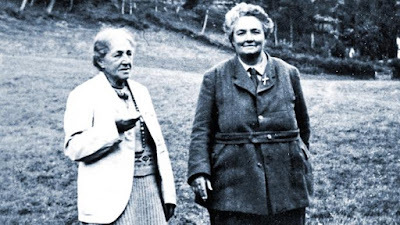 The title track is so evocative and a gift for any composer to be inspired by, with the promise of a sea voyage and the underlying trepidation on the faces of the young couple. I don't think there are any other images that grabbed me as much as the ones I chose. Chatterton of course is such a tragic story and a challenge to try and capture musically that silent scene of death. Pete Bonner from the record company chose the colour which matched a colour in the Millais painting. Q. 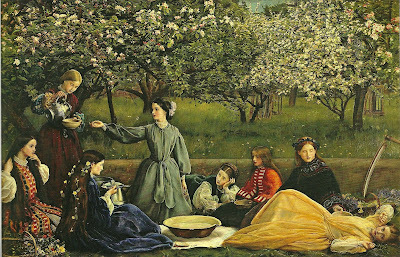 If you had to pick one, what is your favourite Pre-Raphaelite painting? I love so many of them, but I guess it has to The Last of England. My second choice would be The Light of the World. 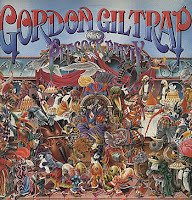 On a personal note, it is a small miracle that this album exists, because before getting ill in 2015,I had decided not to make any more albums, because I felt I had sort of said all I needed to say musically, but it was whilst recovering from my first lot of surgery that a thought occurred to me that I had already had an early incarnation of some of these pieces that formed part of an album I did with Rick Wakeman released about seven years ago. I felt then that the pieces deserved far more work than was put into them at the time. I approached my dear friend and collaborator Paul Ward about coming on board and helping me to realise this dream of an album that stretches back to 1987 when I first started work on the suite, and now all these years on it exists. I'm truly humbled by the response the music has received, which I guess at its heart has a resonance of truth about it and for that I'm very grateful. I thank you so much Kirsty for asking me to do this interview,it has been a privilege. 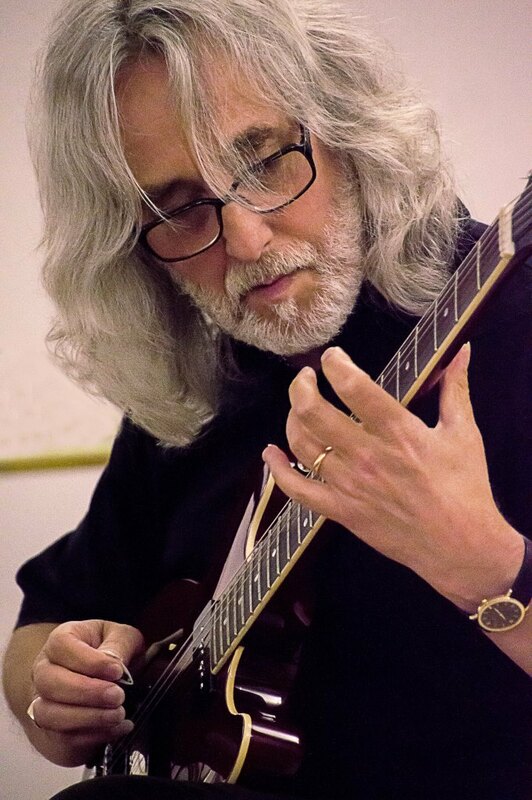 As a final note I want to thank my lovely wife Hilary for her constant support and inspiration without whom much of this music of mine would not exist, and it was due to her diligence and determination that The Birmingham Museum and Art Gallery has it gracing their gift shop! Many, many thanks to Gordon and Hilary for their time and patience, and for making such a gorgeous album that I can't recommend enough. Pop into BMAG if you are close enough but if not, it is available on Amazon. The sound you can hear is my cheering. 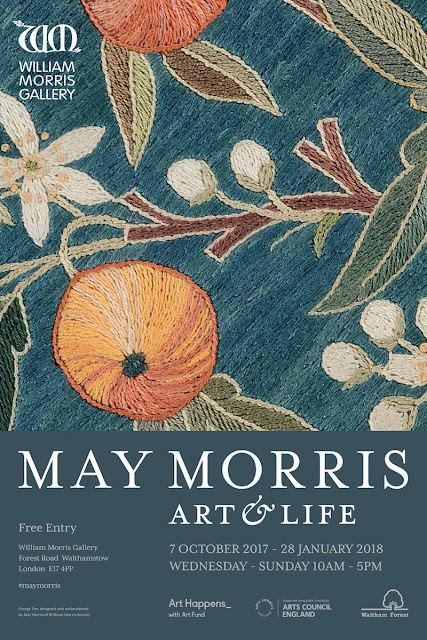 At last, May Morris has her own exhibition and has moved out of her father's shadow and is now seen as a person in her own right! 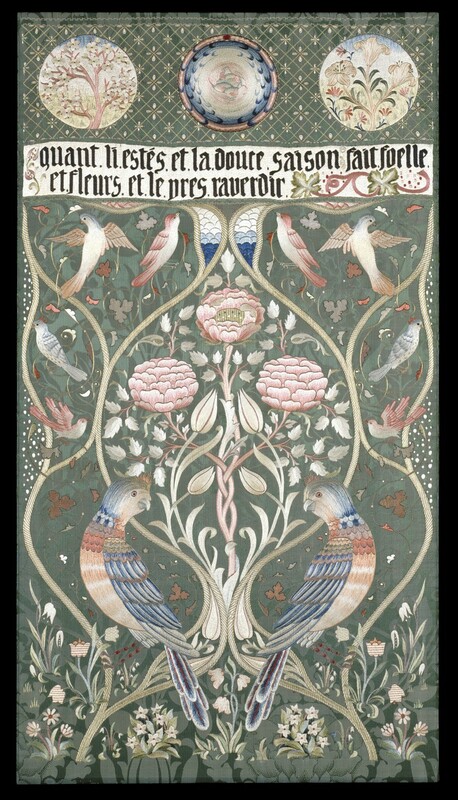 When I heard that the William Morris Gallery at Walthamstow was holding a May exhibition I was delighted. I contributed to the crowd-funding, which is a new and exciting way of helping a gallery get an exhibition off the ground. Never underestimate how much peril our non-national museums face in times of austerity and so anything we can do to help them get money, we should. Anyway, I got the most beautiful tote bag for my efforts! 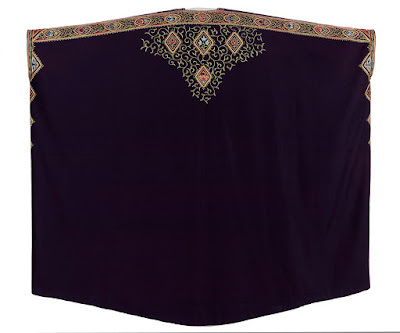 To the exhibition! 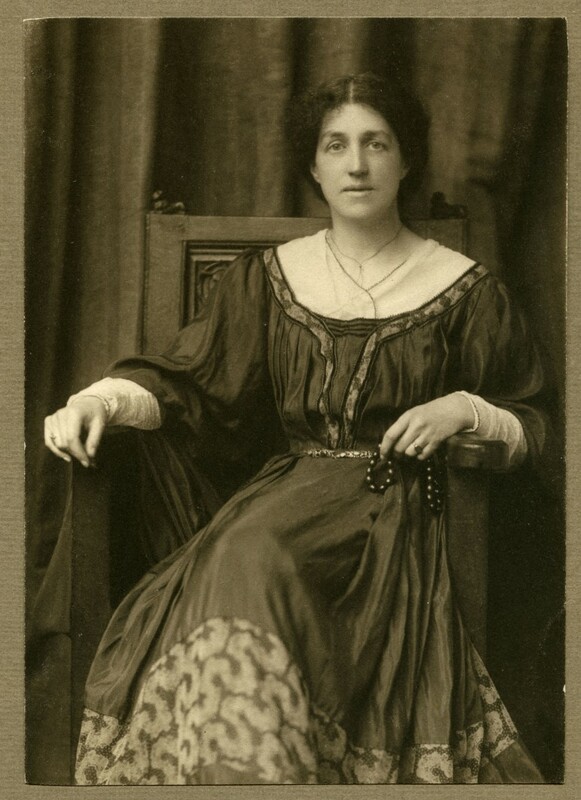 Jan Marsh (in whom we trust) has done amazing work over the years championing May Morris' work, and I have her 1986 biographer of May and Jane Morris, which informed much of my research into Miss Lobb. 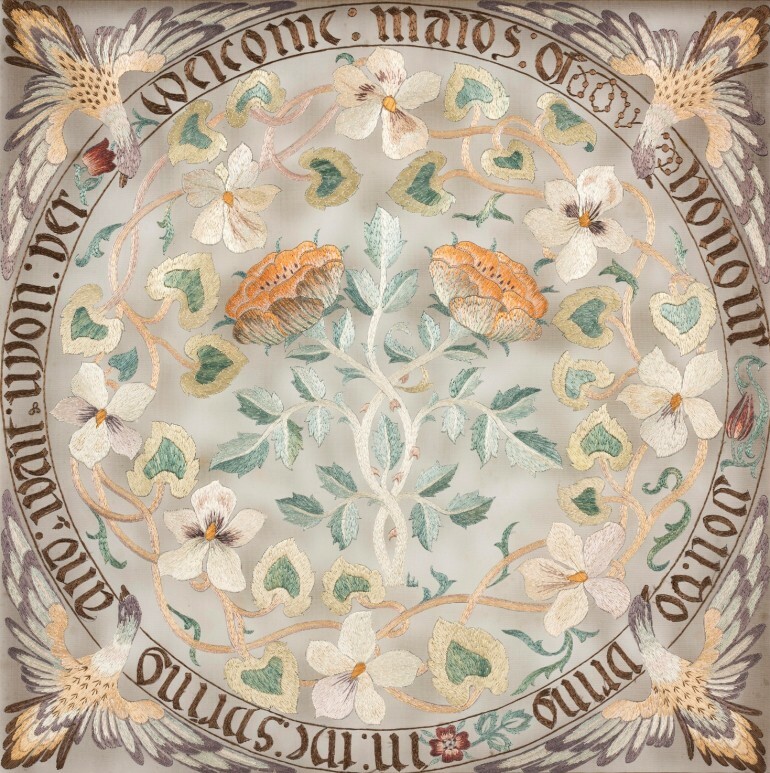 There was also a May Morris exhibition in 1989 (which I also have the slender catalogue for, by Helen Sloan) but May has hardly been given the prominence that some of her male counterparts have, and her work is normally mentioned within the context of her father. How wonderful therefore that May gets a high profile exhibition and her achievements can be seen both in the context of her father's work, but also beyond. First of all, can I mention the exhibition is FREE. That's right, FREE. I think we asked the nice man on the desk twice if he was serious. 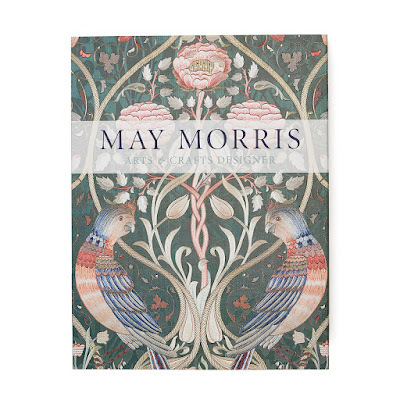 After having the pennies shaken from our pockets at the National Gallery for the Van Eyke exhibition, Miss Holman and I could not quite comprehend how we were not charged to see May Morris, which is so majestic it is spread over two floors. For those that know the gallery, it fills the temporary gallery next to the cafe and then two packed rooms on the first floor. The exhibition covers May's work from wallpaper to jewellery, embroidery and clothing. Her 'seasons' panels are apparently the most expensive ever commissioned by Morris and Co in that period, and are breathtakingly beautiful. Her work is present in huge pieces down to tiny drawings, and if I have a complaint it was that we needed more room to view it all as it was quite busy the day we went and it is such a beautiful collection we ended up doing the 'exhibition shuffle'. Mind you, that happens to us in so many wonderful exhibitions and should be a mark of just how wonderful it is. I was delighted to see Miss Lobb there in all her glory, as May's personal life is covered. Her valentine to George Bernard Shaw is both lovely and sad, her marriage to Henry Halliday Sparling is a bit unfortunate and finally to Lobb, with whom she had some jolly jaunts and generally far more fun than with the other two. Unlike her Mum, May's personal life doesn't overshadow her professional accomplishment but acts as a bit of background, which is fair enough. I feel the words 'mystic betrothal' should be a lesson to us all. The catalogue is an absolute joy, by the way. Over the next couple of weeks I'll be suggesting things that you might want to get for yourself for Christmas, and this is one of them. 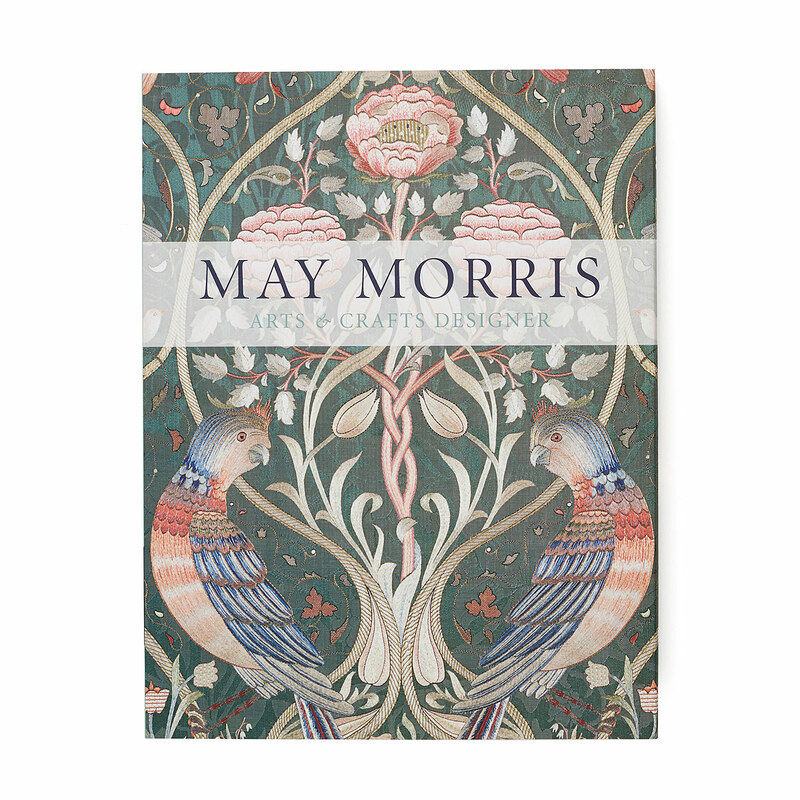 The National Gallery's slim catalogue for their exhibition is nice, but the May Morris catalogue is massive and brilliant and you need it in your life. I'm afraid I bought mine from Amazon about a month before I saw the exhibition because I couldn't wait and it is around the same price as the National one. Bargain. I can't recommend this exhibition enough because May Morris has been sidelined for long enough and its about time we pay her the respect we give to William Morris, because her achievements are remarkable. And her visit to Iceland was far more jolly. The exhibition is on until the end of January and has its own website. And it's FREE.